The city has a rich history and has been inhabited for over 1000 years. First through different Inca tribes and later by the Spanish. On 2 August 1571 the city was founded on the instructions of the Spanish Viceroy Francisco de Toledo. Since the 19th century Cochabamba was an important agricultural center of Bolivia. Today Cochabamba is an economically active and progressive city. 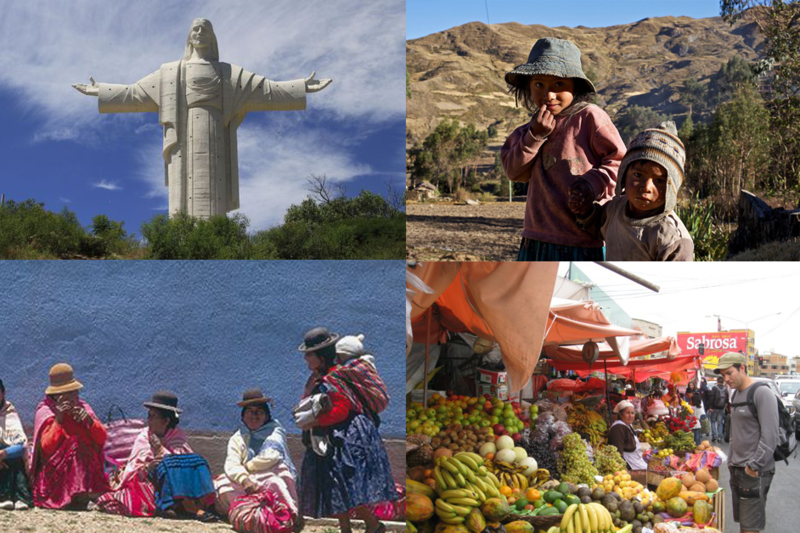 There is a lot to see and do in Cochabamba. There are several universities and the student nightlife is vibrant. Calle España and El Prado are surrounded by lots of cafes and restaurants. Cochabamba is home to the largest outdoor market in South America: La Cancha. Other attractions include the 18th-century cathedral on Plaza 14 de Septiembre and the world largest statue of Christ, the Cristo de la Concordia. With its 40 meters, the statue is even larger than the famous statue of Christ in Rio de Janeiro. Cochabamba is a city of great contrasts. The city center is modern and has lots of entertainment and activities. But the suburbs are deprived. They suffer from a lot of crime and poverty and often there is no electricity, sewage or pavement. Curious to see how you can help? Click here.